AP reported today that Russia had issued a statement that "its warplanes have flown the first combat mission in Syria with U.S.-led coalition aircraft." But in fact, Russia did not make such a statement. On January 23, six Tu-22M3 long-range bombers took off from an airfield located in the territory of the Russian Federation, flew over territories of Iraq and Iran, and carried out an aviation strike on control centres, ammunition and weaponry storages of ISIS terrorists in the Deir ez-Zor province. No mention was made of any other foreign partners in the air strikes in the Russian Defense Ministry statement on their web site in English or Russian. The target of these alleged airstrikes is al-Bab, the ISIS stronghold in northern Syria that marks the western front of the shrinking Islamic State "caliphate." "On January 22, 2017, the command of the aviation group of the Air and Space Forces of Russia at the Hmeemeem air base received the coordinates of ISIL targets in the area of the population center al-Bab of the province of Aleppo." 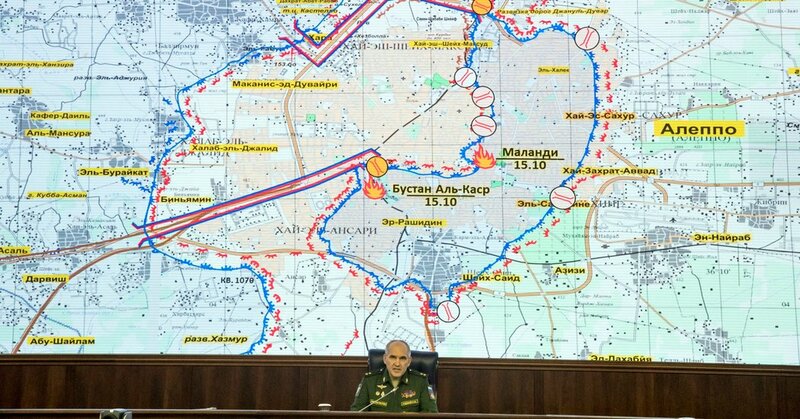 "On January 22, the Russian command center at the Hmeymim airbase has received coordinates of Daesh targets in Al-Bab, Aleppo province, via the 'direct line' from the US-led coalition headquarters. After further data verification with the assistance of unmanned aircraft and space reconaissance, the Russian Aerospace Forces and two jets of the international coalition have conducted airstrikes on the terrorists' targets," the statement said. As a result, several ammunition depots, military harwware and fule products were destroyed. Russia has received coordinates of Daesh targets in Al Bab, Aleppo Province, from the US for the first time, the Russian Defense Minsitry said Monday. 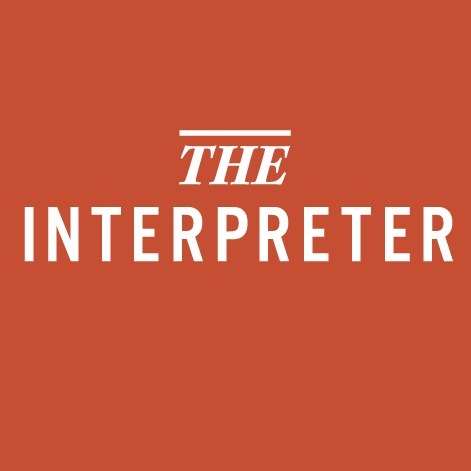 The Sputnik International report does not make clear when it mentions "two jets from the international coalition" that this does not involve a US jet, but even so, the focus of its story was the US giving the coordinates for a strike, not a "joint air strike with the US". "'The combat aviation of Russia and Turkey conducted the latest joint air strike against militants of the territorial group of the Islamic State (banned in the Russian Federation) in the region of the population center El-Bab of the Syrian province of Aleppo,' the Russian Defense Ministry reported. 'Three fighter planes from the Air and Space Forces of Russia and also four planes of the Air Force of Turky were brought in for the air operation, coordinated with Syria. In all, 22 targets were destroyed,' said a statement from the Defense Ministry received by Interfax." The AP report of "U.S.-led coalition aircraft" evidently meant not US planes, but the US providing the information for the targets struck by the coalition aircraft, namely from Russia and Turkey. The US denied the AP report -- not only regarding any US planes, but even regarding the claim of "coordinates" supposedly given. "The Department of Defense is not coordinating airstrikes with the Russian military in Syria," Pentagon spokesman Eric Pahon told RFE/RL in an e-mailed statement. "[The] DoD maintains a channel of communication with the Russian military focused solely on ensuring the safety of aircrews and de-confliction of Coalition and Russian operations in Syria." Another Pentagon spokesman, Adrian J.T. Rankine-Galloway, told RFE/RL, "There was no U.S. provision of targets to the Russian military and no joint coalition-Russian air strikes." On January 18, Russia also claimed to have carried out "joint-strikes" with Turkey against ISIS targets in al-Bab. Russia said its air force had joined Turkish jets for the first time on Wednesday to target Islamic State militants holding the town of al-Bab in northern Syria, evidence of increasingly close co-operation between Moscow and Ankara. The Turkish military acknowledged in a statement that Russian warplanes had attacked Islamic State positions south of Al Bab under an agreement between Turkey and Russia, but did not discuss the role of Turkish aircraft. There was no independent verification of the Russian claim that all of the targets had been destroyed. In recent days, the United States has also carried out airstrikes near Al Bab to help the Turkish forces that are struggling to take the town. The American strikes also seem intended to ease the tensions between the United States and Turkey. In effect, Russian and American air power is being used not just to attack the Islamic State but also to compete for influence in Ankara, the Turkish capital. Former military and diplomatic officials said the cooperation between Turkey, a NATO ally, and Russia, the foremost threat to the NATO alliance, was worrisome. WASHINGTON - Russia and Turkey carried out their first joint airstrikes against Islamic State positions in Syria on Wednesday, further expanding their budding military cooperation, the Russian military said. Behind all of this is an extremely complicated story. Turkey invaded Syria this summer in order to push back ISIS. But it did so in order to capture ISIS territory before a predominantly-Kurdish fighting force, the US-backed Syrian Defense Force (SDF), gained control in Syria. We may be witnessing the end of the extremist group Islamic State (IS) as we know it. 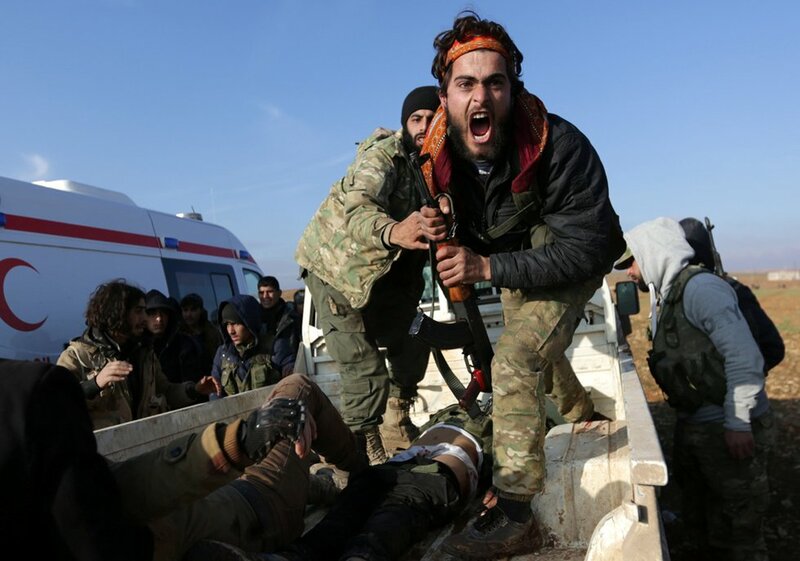 Over the weekend, the coalition of Turkish military soldiers and Syrian rebel groups, backed by a small number of U.S. Special Operations Forces and air support, captured the Syrian city of Dabiq from IS. Islamic State Is Collapsing -- So Why Is It Suddenly So Successful Against Assad? There are at least four separate coalitions that claim to be battling the extremist group Islamic State (IS). Three of those coalitions are reporting great success, and the failures of the fourth coalition tell us many things about the state of regional and geopolitical affairs. At the end of the day it appears that Russia may be conducting strikes against ISIS near al-Bab, which will strengthen its ties with Turkey and further complicate an already difficult relationship between Turkey and the US. However, they are almost certainly not coordinating their attacks with the US.